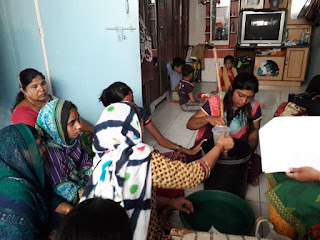 11-September-2018, Koregaon Park (Pune): The Don Bosco Development Society (DBDS), Pune organized 5 days training workshop on ‘Home Based Cleaning Solutions’ from 7th September to 11th September 2018. 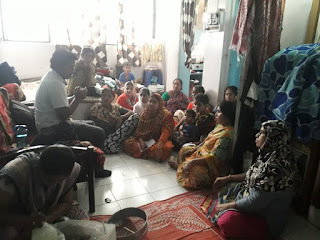 15 women Self-Help-Group (SHG) members from Shelar Chawl slum participated in this training held under the aegis of ‘women empowerment project’ supported by Manos Unidas, Spain. 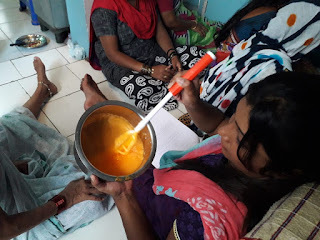 Mrs. Vinaya Pawar was the trainer for this programme. 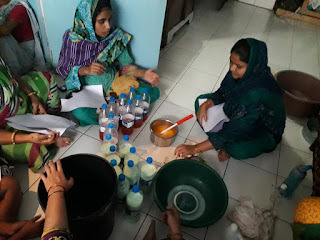 She taught the production process of various cleaning items such as ‘Phenyl, Detergent Powder (Liquid soap), Hand wash, Toilet Cleaner and Dish wash liquid etc. 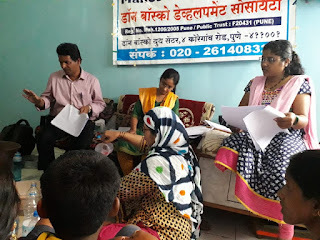 During the training programme, Mr. Nagsen Chavan (Project Coordinator) guided participants on business management. 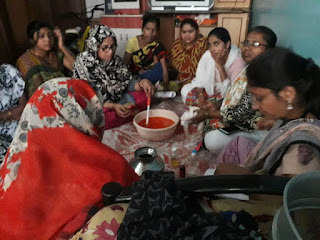 He guided them on marketing, sales, customer care, Production Budget, customer data management, Product sampling, Product advertising, Product costing, Business Account , Product stocks management etc. 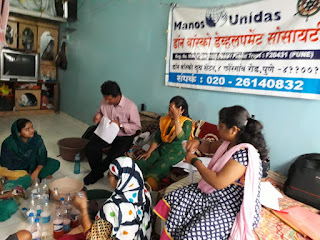 Participants actively involved themselves in training program. Program ended with vote of thanks by Ms. Nilima Chandehre.